Even though walking in Shunde can sometimes provoke an unexpected and mysterious sense of discovery of an older kind of urban experience at times it can reveal a fragmented and discontinuous condition that lacks quality public spaces and amenities. Faced with the rising competition from other regional cities and industries, Shunde’s drive for rapid ascension has caused the disappearance of local culture and identity. With an uncertain future, what will be the identity of the new Shunde? 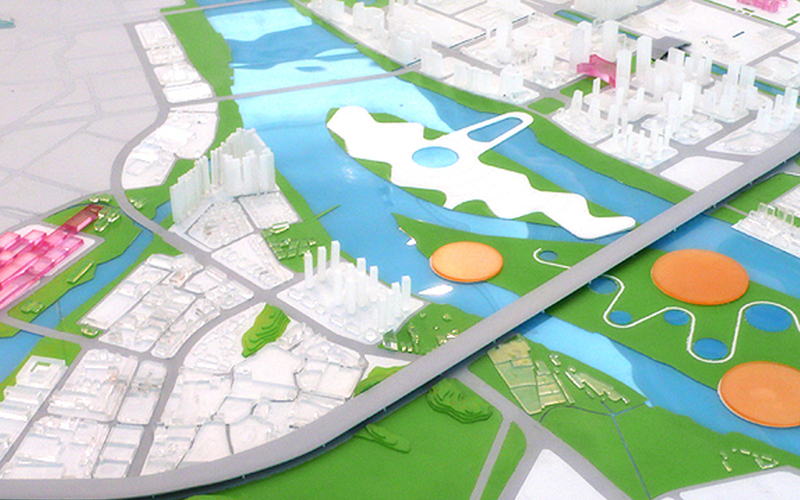 Our design approach originated with the reevaluation of Shunde’s modernization process and its connection to Lingnan culture, and with consideration of how new urban development can influence and promote the identity of Daliang and Ronggui, and improve the infrastructure and organization of the city Our aim is for a new Shunde, one with vigor, cohesion, imagination and creativity. Our design strategy is to bring back the intensive, small scale, relaxed lifestyle and casual atmosphere to this Lingnan region. At the same time, to revise, re-establish, and integrate industrial & ecological infrastructure to create diverse and flexible development in the future.